Over the last several months, we have been heads down deploying the GroGuru solution at various sites in Central Valley. 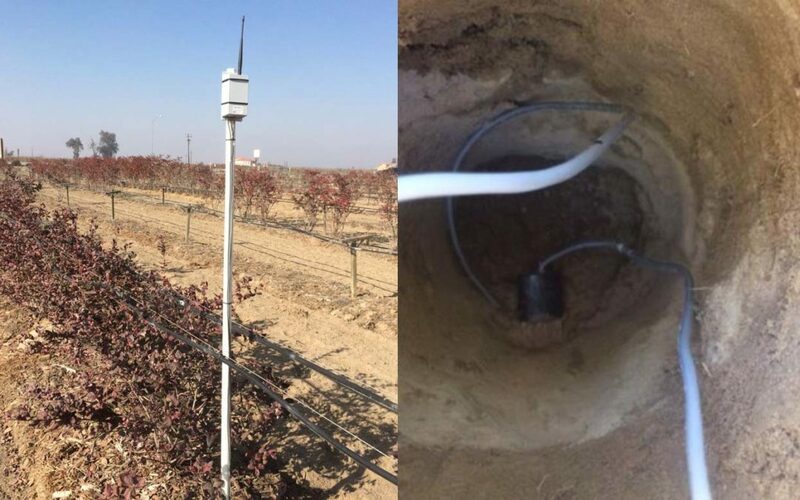 The GroGuru soil sensors measure soil moisture, soil salinity and soil temperature. All three parameters have been very valuable for the growers that we have been working with. Some growers have used just the soil moisture measurements to determine when to water and how much. And given the dry winter over the last few months, these measurements have been very valuable in ensuring that the crop has the right amount of water. We plan to have details of this in a future blog post. The western areas of Central Valley typically have high levels of soil salinity. This impacts the crop negatively. Some of the growers who are using the GroGuru system were sending soil samples to the lab to determine the soil salinity levels. This meant they could not see the immediate impact of actions they were taking. The GroGuru soil sensor has made their life easier since we provide soil salinity data 24×7. We will have details of these also in a future blog post. Very few growers have been using this information provided by the GroGuru soil sensors. And these growers have used the soil temperature to determine if the roots of the trees are “waking” up.